Learn the secrets most doctors would be scared to share with you because they believe would put them out of a job, because it would actually make you healthy to the point you wouldn’t need doctors. It will also make medical care much more affordable for patients. As Dr. Sircus practiced medicine he felt disgusted at how the medical industry would treat people who were not able to pay their medical bills, at the same time it seemed that doctors were acting as drug pushers by getting patients in the door who they could help get better but couldn’t help stay healthy in the first place. Dr. Sircus began researching a better way to help people treat themselves in a more natural way that would maintain their health and would help people with limited resources have access to better health care. He searched high and low for natural medicine that actually worked. The protocol Dr. Sircus will teach you acts through nutrition, an understanding of solid medical parameters that lead to workable diagnosis and effective treatment that actually does something more than just covering up symptoms, it treats the cause. The Natural Allopathic protocol resolves the most basic issues in our physiology. Do you want to learn how to take control of your health and body, in a safe, simple and affordable way? 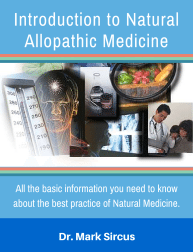 The Natural Allopathic protocol gives you a safe natural way you can practice medicine on yourself and loved ones by applying the principles you learn from me in this website. Giving you the health of your life by uncovering the secrets that most doctors would be to afraid to share with you. In your first consultation we will assess your current health and help you maintain yourself healthy instead of waiting until it’s too late to go and get help just to deal with the consequences of bad health. Preventing most diseases from the very beginning, before they appear. Everyone who is really interested in the health and well being of his/her own and feel responsibility for others can find a wealth of true and update information about all the factors/issues that endanger our every day on our marvelous and strongly abused planet. No matter which subject Dr Sircus writes on his writing conveys his unconditional love for his fellow human beings and all the living creatures on Earth. May God bless him for all the work he has done. Dr. Sircus has saved my life, including last night when I suffered a heart attack. He is the most informed and heroic of health care professionals. His protocol has also saved my son who suffers from asthma. My continued efforts to survive this latest setback will be consistent with his entire protocol. No one writes on the subject of human health as well as Dr. Sircus and I read and research A LOT!!! Subscribe to Dr Sircus newsletter and receive for free an ebook and introductory articles that will guide you through his protocol and the medicinals that compose it. As well as direct help you might also want to look at Dr. Sircus’s large number of books you can read to have a better understanding of yourself, your health and how to maintain it. Uncover the health secrets you and your family can use to start changing your life for the better right now, don’t wait until you or someone close to you gets sick, act on it now and prevent disease before it happens in a natural, safe and affordable way.